The central air conditioning system is a structure or system established wherein a centralized unit cools down or dehumidifies air before distributing this throughout a house or building. The central air conditioning is different from the framework that relies on individual units in rooms or specified spaces of a given structure. The system is often fused with a heating system as both systems get similar amounts of electricity and banks on duct works to dispersed cooled or heated air. With the scope of the system itself, this is commonly being used in large structures or in homes with extremely hot or humid climates. With the system in place, the main unit is often situated in non-traffic or isolated areas or spaces outdoors which could either be an attic or a garage to isolate the amount of noise it generates upon refrigeration cycle which is the process that cools air and help in extracting humidity. Fixing central air conditioner entails a certain degree of effort, skills and precision to ensure that the ultimate goal of the said system is met. Let’s dig deeper on the question of how does a central air conditioning system work? A central air conditioner has a primary part such as the air handler or furnace located in a separate area. The unit then pumps cooled air throughout a given space such as a house or office set up through series of ducts and channels which is the same flow with that of the system utilized by forced air furnace during the heating season. At this point, a thermostat comes into the picture. How does central air thermostat work? Generally speaking, a thermostat controls the operation of the central air conditioning unit and provides precised and accurate temperature regulation. It turns the cooling system on or off as the temperature rises or falls depending upon the preferred or set temperature by the owner and maintenance of the house or office. A central AC regardless of the central air conditioner prices runs on electricity and removes heat from air through the principle of refrigeration. When the thermostat sends a signal to the main unit to lower the temperature, the cycle begins all over again. Refrigeration, obviously has a coolant or a refrigerant such as Freon that circulates in the copper tubing that runs between these components. The refrigerant both receives and releases the heat as it does its work to lower or increase the temperature either switching liquid to gas or changing it back to liquid. The air handling unit draws indoor room air from various parts of the house through specialized return ducts. This air is then pulled through a filter, where the air borne particles such as dust, dirt and lint are removed depending on how well the specialized filter has been built can also filter microscopic substances. The quality filtered air then is routed to air supply tubes that carry it back to the receiving rooms or house. The assigned air handler pushes warm air into the coil, the refrigerant then absorbs so much heat from the air that it turns into vapor. As a form of gas, it goes through to a compressor that pressurizes and presses it and moves it through the outdoor coil, which gets rid of the heat. At this point, some units has pre-installed fans which also help to remove the heat. The refrigerant then passes through an expansion device that converts it to a low-pressure, low-temperature liquid, which returns to the indoor coil. And so the cycle goes. Ductless air conditioning on the other hand can also be used to cool air in large scopes or areas, but instead of relying usually on duct work or specified channels, it uses individual wall units that remove moisture and hot air, and pump in cool air. This form of air conditioning can be more environmentally friendly, as people can control the climate in individual rooms or groups of rooms, rather than using a single central unit to maintain a desired temperature. Because temperatures can vary considerably across a structure, central air conditioning can use a lot of energy in its attempt to keep the air comfortable. For large buildings, central air conditioning is critical, because the air can grow quite oppressive, especially in warm weather. Heat from the weather can make the building warm up, as can the heat from the bodies in the building, and moisture also accumulates as a result of respiration. Using central air will keep a building comfortable for people to work in and make it more pleasant for visitors who may be entering the building, such as customers entering a department store. We know, we know. You’re probably thinking that high-velocity air conditioning sounds kind of intense. Well, we’re here to tell you that it’s nothing like sticking your head out the window while driving down the highway. Or a hurricane. Or a tornado. It’s called high-velocity because of the size of the ducts: at a size of just two inches, they’re quite small! This increases the velocity of the airflow (think of it like water through a pinched hose). To cope with the extra noise this makes, the system uses materials to muffle the sound, so you can relax in perfect comfort. Starting to sound pretty good? To know if it’s perfect for your home, check out our list of five things to consider before installing high-velocity air conditioning. 1. Do you own an older home? You won’t be able to enjoy your cute, old home if you spend summers sweating because you’ve got no air conditioning. In homes like these, though, it can be difficult to install a bulky, standard air conditioning system – you might even have to remodel your home to accommodate it. With a high-velocity system, you can work around existing design quirks and tight spaces thanks to the system’s small ducts. 2. Do you hate waiting around for your room to cool? 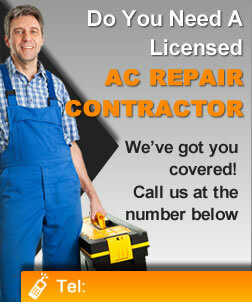 We’ve all been there: you want your room cool now, but your dated air conditioning system is taking its sweet time. Not so with high-velocity air conditioning. Using only half the airflow, high-velocity air conditioning can take your room from sweating-sitting-down to couldn’t-be-more-comfortable faster than you can say, well, high-velocity air conditioning system. 3. Do you live in a humid environment? You’ll appreciate your high-velocity air conditioning most on muggy days – it’s 30 percent more effective than a traditional system at removing moisture. 4. Do you hate it when parts of a room are hotter than others? You know when you heat up food in the microwave and the outside is burning hot, but it’s still cold inside? Rooms can get that way, too. If you hate it when some parts of a room are hotter than others, high-velocity air conditioning could be right for you. The circulation system ensures even temperatures. 5. Do you mind a bit of a breeze? As we discussed earlier, high-velocity air conditioning blows air faster than standard systems. That means when the air is blowing out of the register and into the room, you’ll definitely feel it. This does bother some people. A good contractor will keep this in mind and position the registers so as to be the least bothersome to the homeowner.